We will create the text.txt file in the D drive. 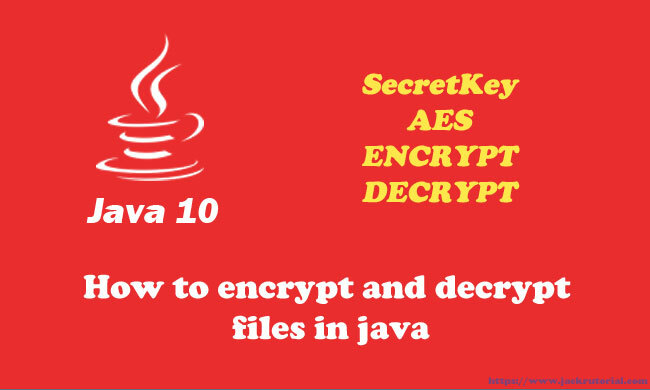 First, we'll create an instance of the Cipher class using the encryption algorithm called AES. Then, we'll read the contents from the text.txt file into the array. Finally, we use FileOutputStream write the outputBytes and close. Same as in the example above. First, we'll create an instance of the Cipher class using the encryption algorithm called AES.